Although it has shown improvement in the last 12 months, the UK job market is still suffering from the repercussions of the financial recession. For qualified and experienced job seekers desperately looking for long-term employment, it can be difficult finding interesting vacancies in specific industries. Employers all use different methods of recruitment, and sifting through job searches can be a tedious and repetitive process. Fortunately, job seekers who want to quickly and easily search all available vacancies can use the latest Android apps to refine their search. 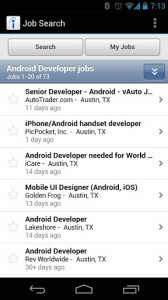 The following job search Android apps offer the most effective way to find that dream job. The Indeed search engine is one of the most comprehensive and exhaustive online job hunting tools, and the Job Search app makes full use of its search capabilities. Collating dozens of online job resources with up-to-date information, the app returns hundreds of vacancies for every search. 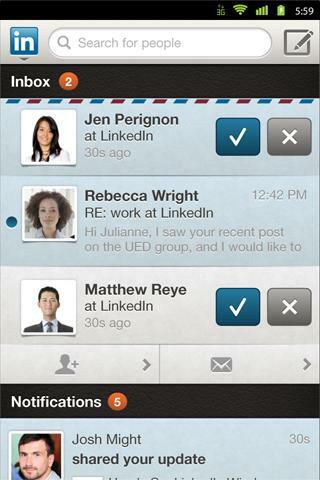 Users can filter results by distance and save or email applications that they are interested in. LinkedIn is a social network with a difference. The network is dedicated to professionals and the world of business, and it is used by thousands of employers, head hunters and organisations to connect and network with one another. 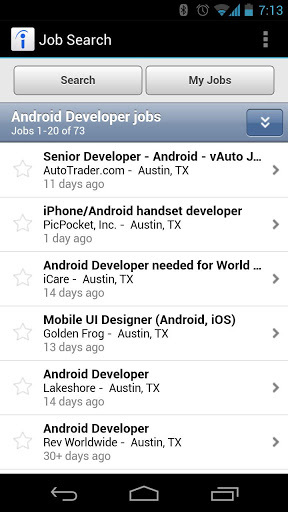 As well as keeping up with industry news, users with the Android app can search for jobs and maintain an active online profile with their most recent CV. LinkedIn is perfect for those looking to advance further in their industry of choice, as well as job seekers trying to get on the career ladder. 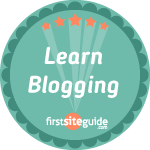 Monster is one of the most popular online job resources. The website has thousands of members who keep active profiles to share with recruitment agencies and employers, and its Android app is an excellent way for users to search for vacancies from a mobile device. As well listing all the vacancies available on the website, users can also use the app to edit their cover letters and resumé. Those with a Monster account can immediately apply for positions that they are interested in as well as set up notification alerts for jobs that fit a defined criteria. The Job Search Engine is a highly customisable app which allows user to enter very strict parameters in the advanced search engine. 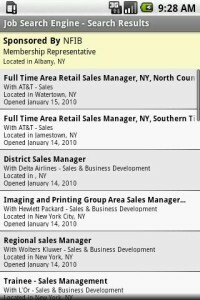 The listed jobs are often unadvertised on other sites, and users can also receive email alerts for new vacancies that match their criteria. Perhaps most importantly, however, is that the app strives to eliminate scam and fraudulent adverts. This feature alone will come as a sigh of relief for many job hunters who are sick of wading through dodgy sales and ‘Earn big cash now!’ advertisements. JobCompass is a job search app with a difference. 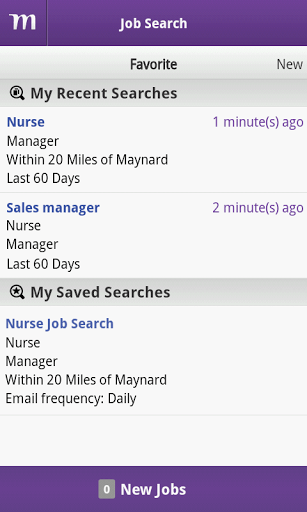 The focus of JobCompass is to return job results by location. For many people, the location of a job is one of the most important factors in deciding whether to apply, so the app’s unique real-time map display can be a very efficient way to browse and search vacancies. 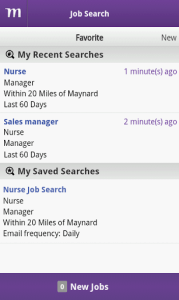 However, users can also use keywords and other search criteria to find vacancies. While these Android apps are an excellent tool for finding vacancies, job seekers shouldn’t discard traditional means of job hunting like local newspaper advertisements and recruitment agencies. These methods are still valuable, and they may have exclusive vacancies and opportunities for employment. Ross Davies writes about employment, job search and technology and recently road tested the latest Android apps out when helping a friend look for work.